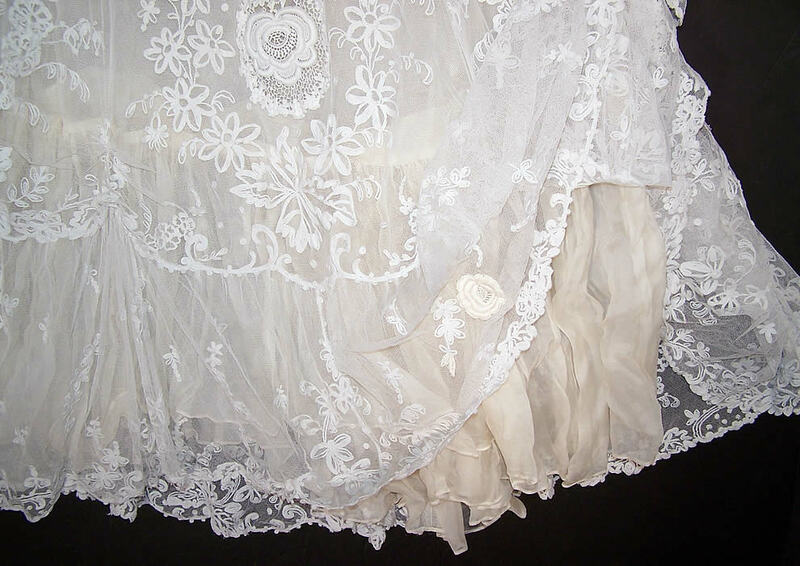 This antique Victorian era wedding white net tambour embroidery lace bridal bustle skirt dates from 1880. 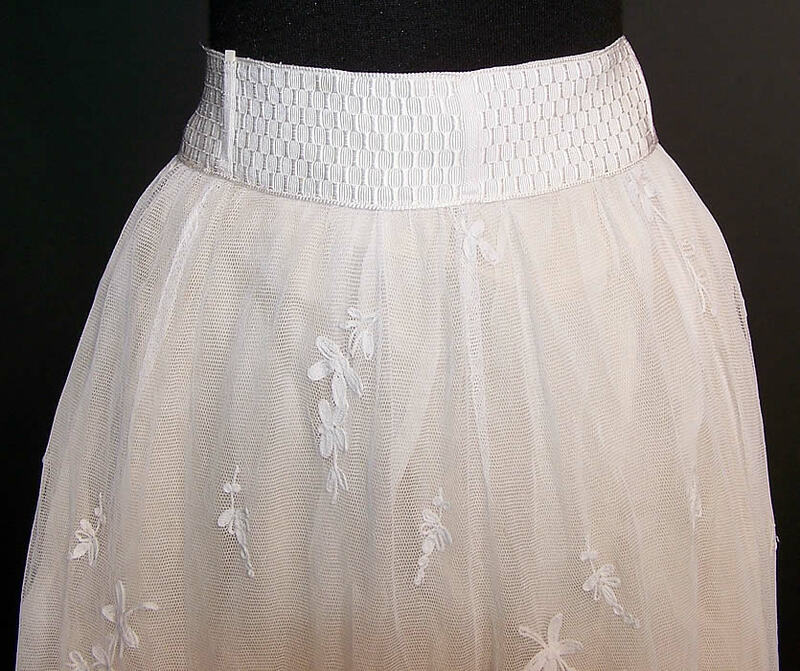 It is made of a sheer white cotton netting, with tambour embroidery chain stitch needlework whitework done in a floral vine leaf pattern design. 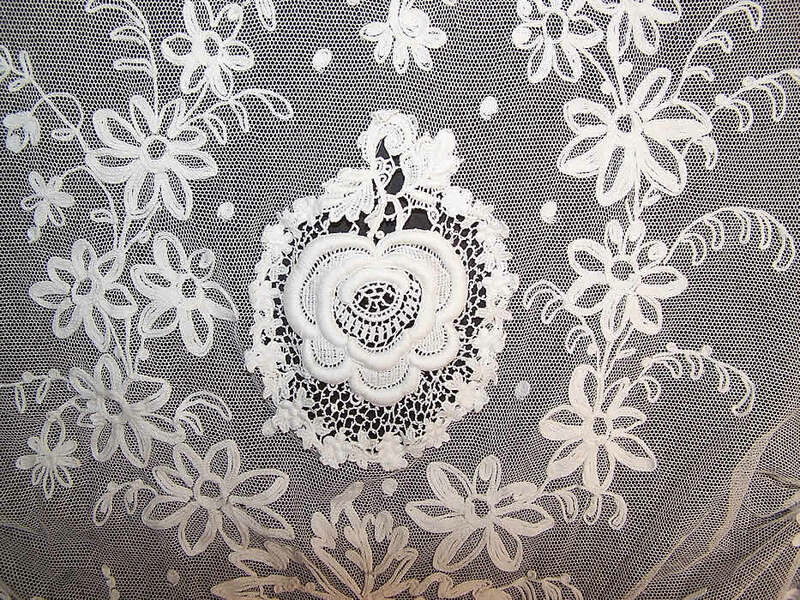 There are a variety of lovely lace applique's and inserts. 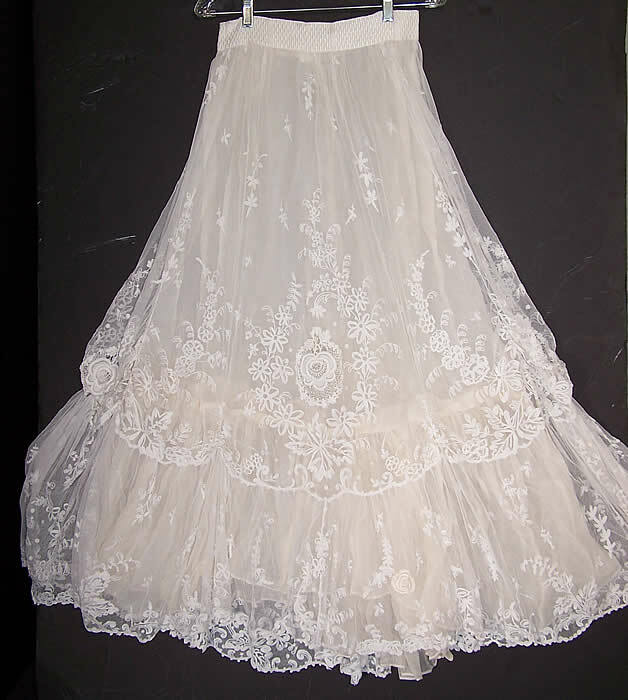 This beautiful bridal bustle skirt is floor length, has a layered, draping style with scalloped gathering, a full bustle back, with silk covered buttons hiding snap closures underneath, a white silk ribbon waistband with stays, hook & eye closure and a cream color organdy crinoline petticoat lining sewn underneath. 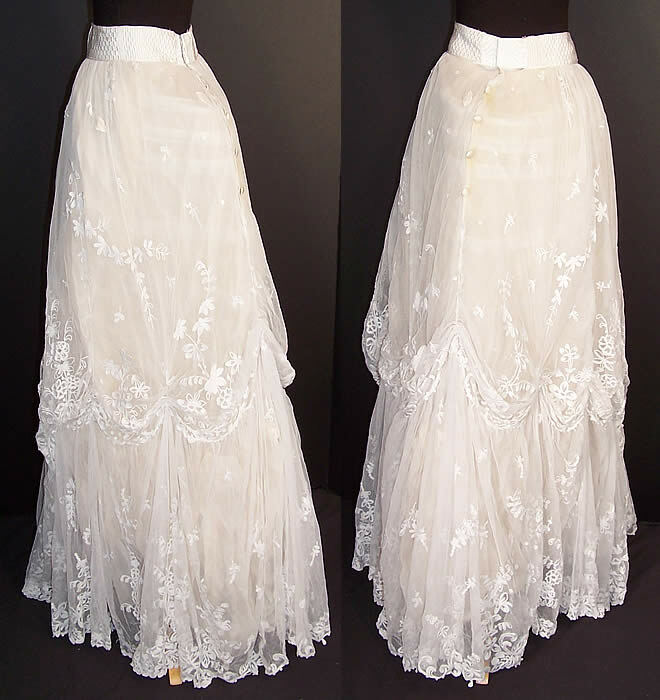 The skirt measures 44 inches long, with a 28 inch waist. It is in excellent wearable condition, with only some slight yellowing discoloration along the back button trim. The snaps and button trim accents have been added later. 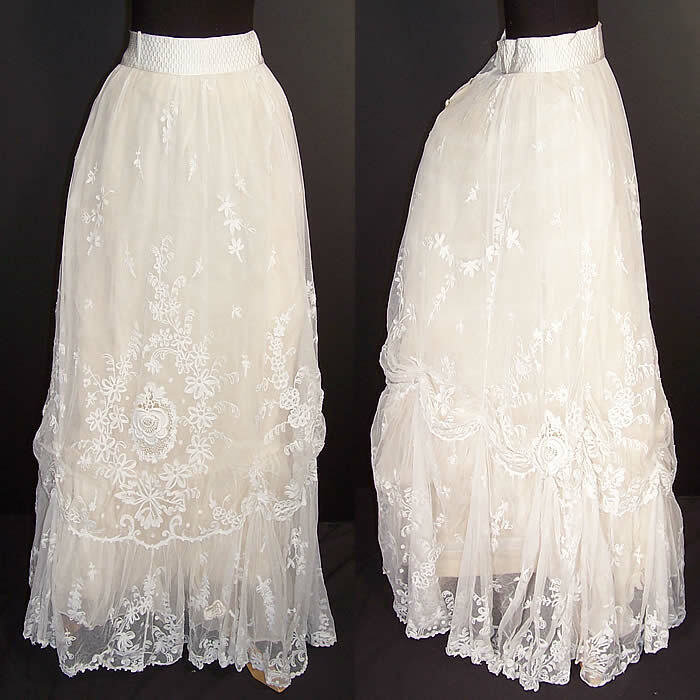 This is truly a wonderful quality custom made wedding skirt! Wow! 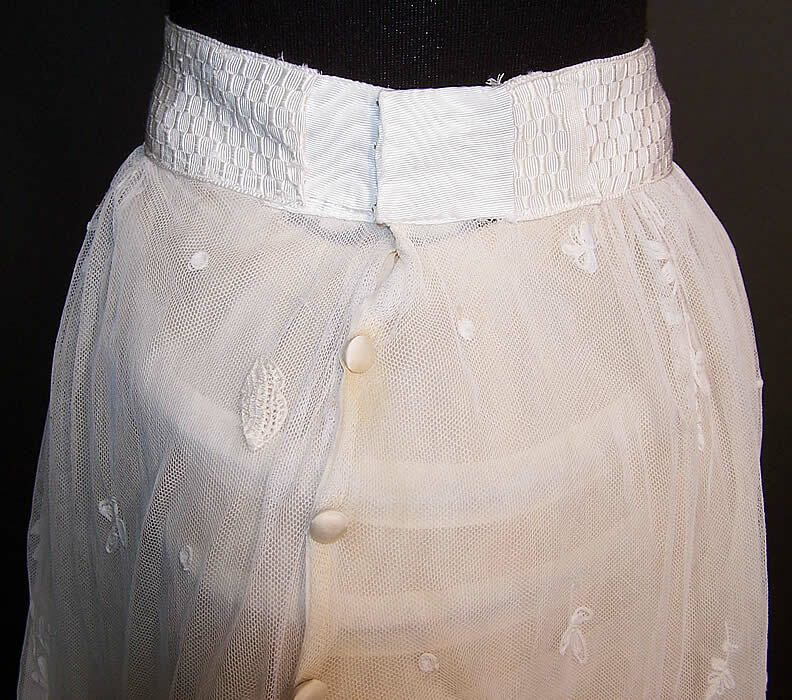 Okay, it's not 1880's -it's actually made for an s-bend corset which would put it in the 1900s. It's stunning to behold though and a wearable size! Woohoo!